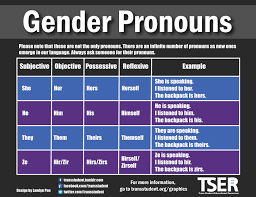 The liberals want to change the pronoun for God on the one hand because they claim it is sexist. However, on the other hand, they want to claim that everyone has the right to claim their own pronoun and others must accept that. Therefore, they should accept the fact that God calls Himself a male.